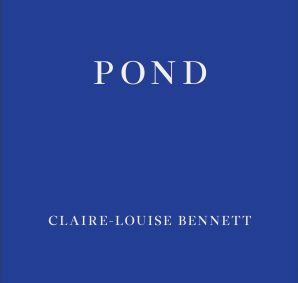 Pond is a collection of short stories, or perhaps a fragmented novel, centred on an unnamed female narrator living alone in a cottage in Ireland. two tapered slices of the purest cheese I’d eat forthwith and this would briefly alleviate me of all other pressing duties so I would gaze awhile out the windowpane and I would not deign to get involved in anything, not one single blessed thing out there. As should be clear from this small excerpt, this book is wonderfully written. It focusses on the ordinary and the everyday in a way that asks you to see these things through new eyes. Bennett’s writing rallies against lazily accepting the tired and the habitualised. It turns clichés on their head, saying of a Portaloo: “I hadn’t seen it coming, that’s to say I wasn’t here when it was delivered.” This humour dances around the corners of each of the stories or chapters in this book. There is a joy in Bennett’s language and a commitment to revivifying tired modes of expression that is very refreshing. The events being narrated in this book are things as simple as tracking down a control knob for an old electric oven, taking an afternoon walk and passing a man along the way, and not going to an event hosted by her landlady. While on the surface these things might seem very insignificant, the narrator uses every small detail to expand on much larger questions. In the story about the control knobs lurks the fear of death and of running out of time; in the afternoon walk are ideas about desire and femininity; in the missed event are themes of place and history, and their connections to the individual. What Claire-Louise Bennett does in these stories is to find the universal in the everyday. That this is done with humour, tenderness, and a quietly compelling narrative voice, makes her book as highly readable as it is thought-provoking.